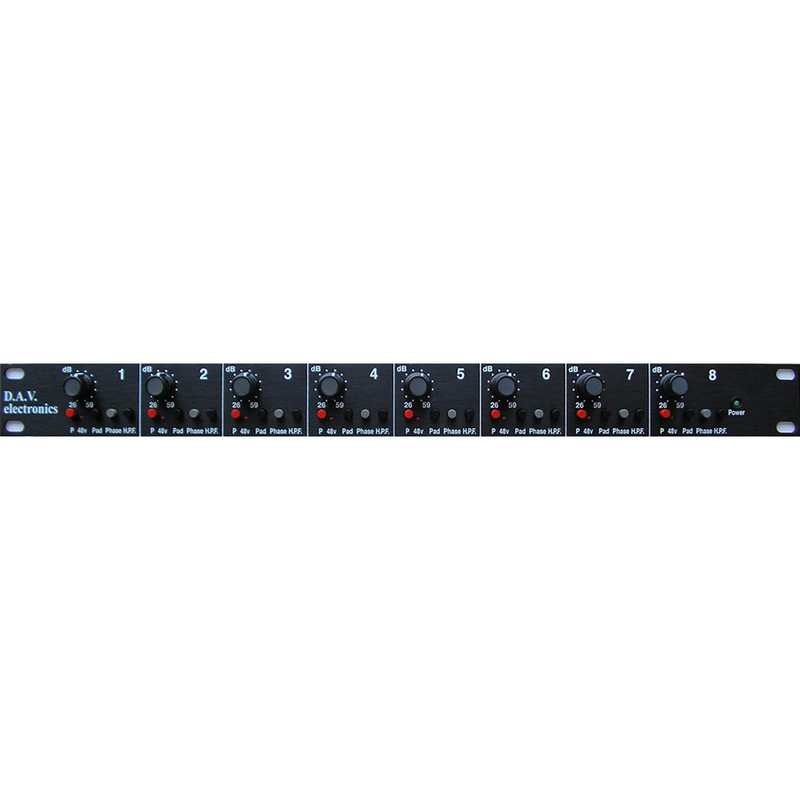 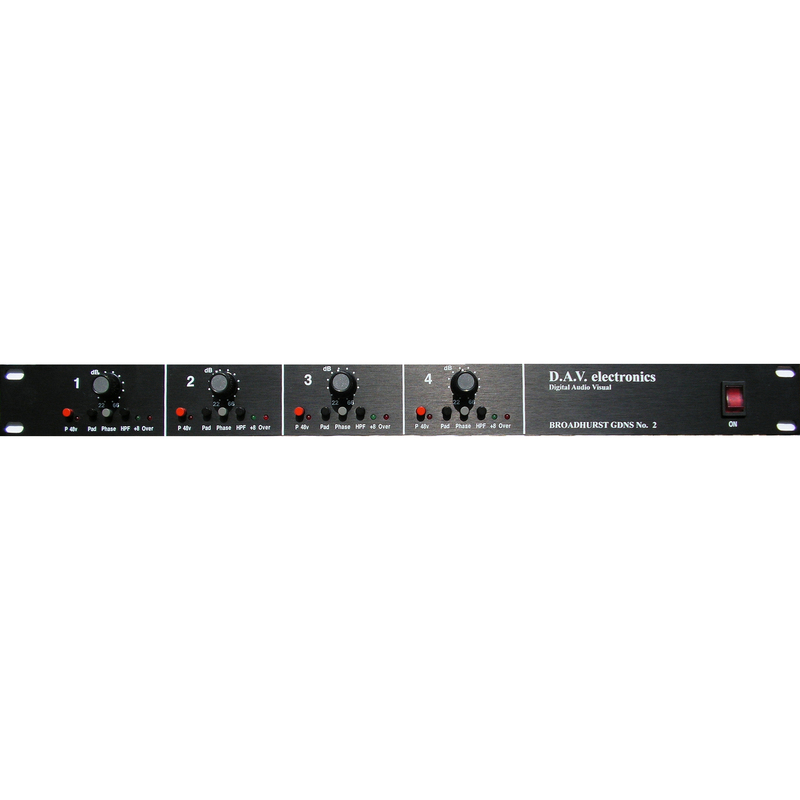 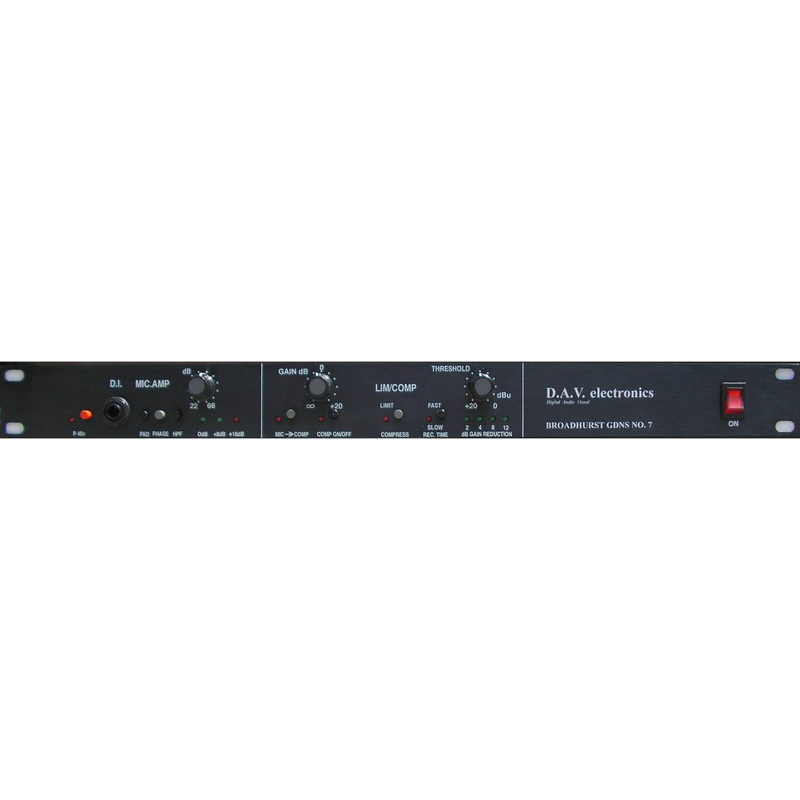 1U rackmount high quality 8 channel microphone amplifier. 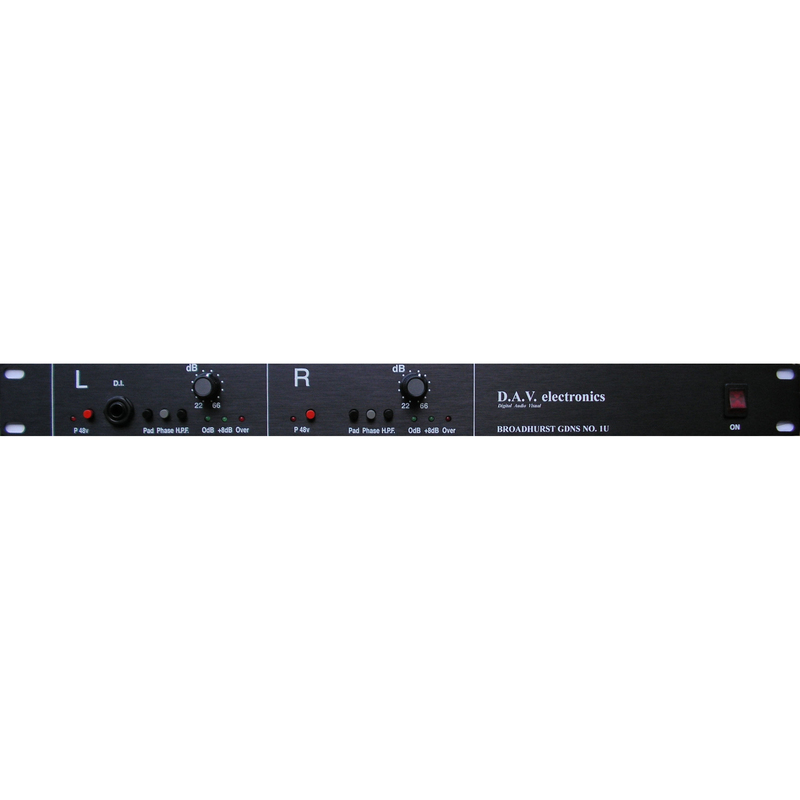 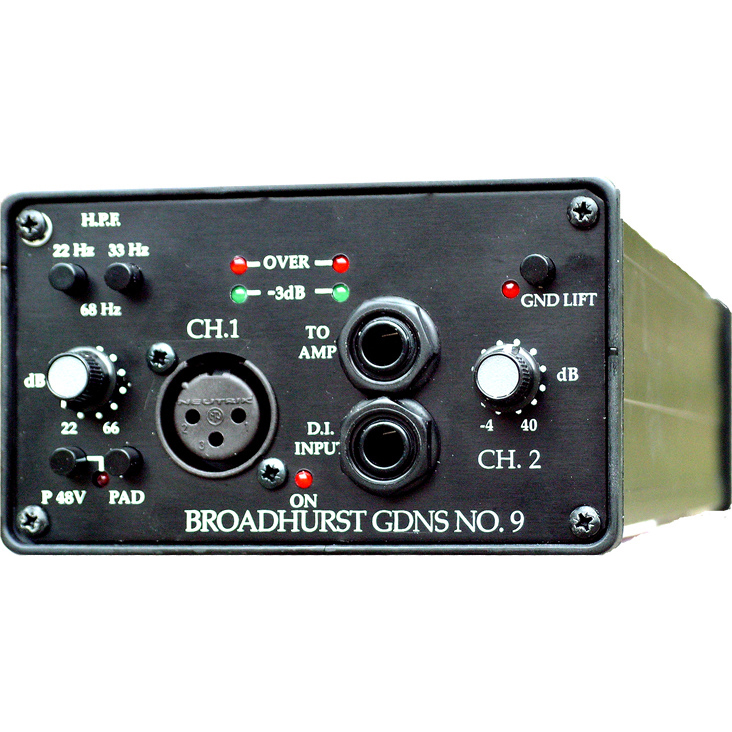 The features of this microphone amplifier consist of low noise and low distortion. 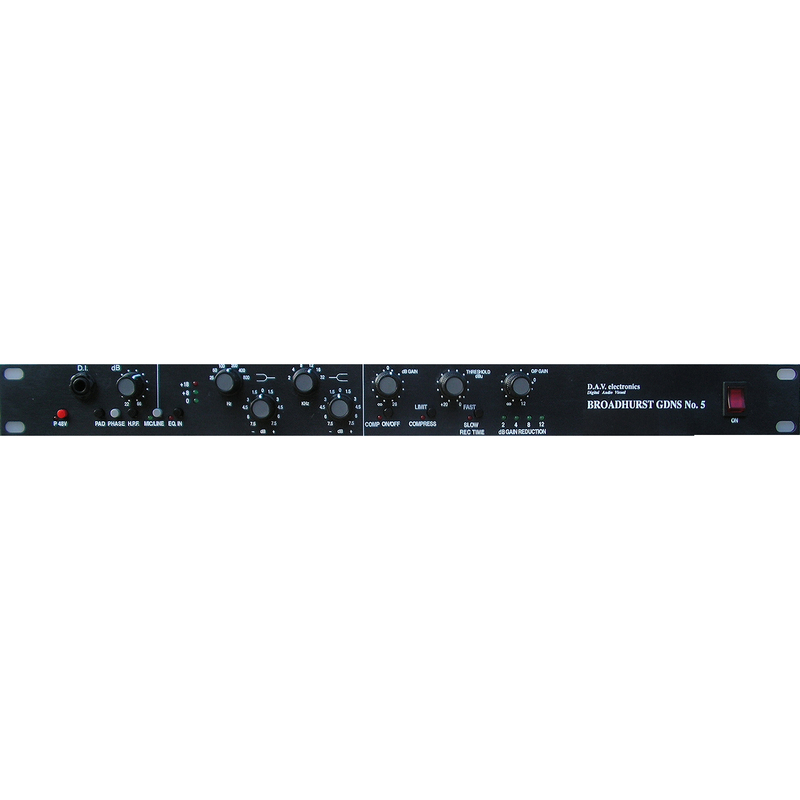 It offers switched gain controls for high accuracy level setting, high pass filter, 26dB pad, phase reversal and 48v phantom.